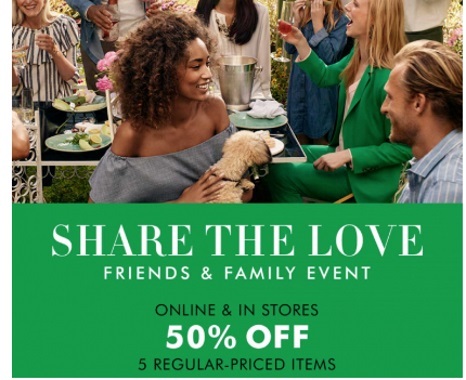 Banana Republic has a Friends & Family Event on now! Share the love with 50% off on up to 5 regularly priced items! Enter the promo code BRFAMILY at checkout. Offer is valid in-store and online until Monday, March 13, 2017. Click here to browse Banana Republic.